With less than 24 hours the 2018-2019 college basketball season will be under way. And what better way to start the season than with the Champions Classic. 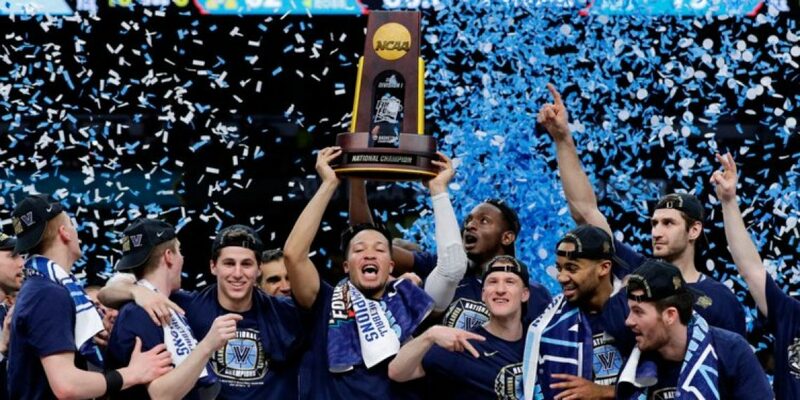 The NCAA decided to move the opening of the season to a Tuesday this year instead of the normal Friday which should really help bring the nation together for these big games. November 6th will kick off at 12:30 eastern with Green Bay playing Division II Wisconsin Lutheran. 146 games later the night will end with a big one out west as BYU plays at #7 Nevada. Others highlighting the the day include #8 UNC @ Wofford, Western Kentucky @ #25 Washington, and Florida @ #17 Florida State. 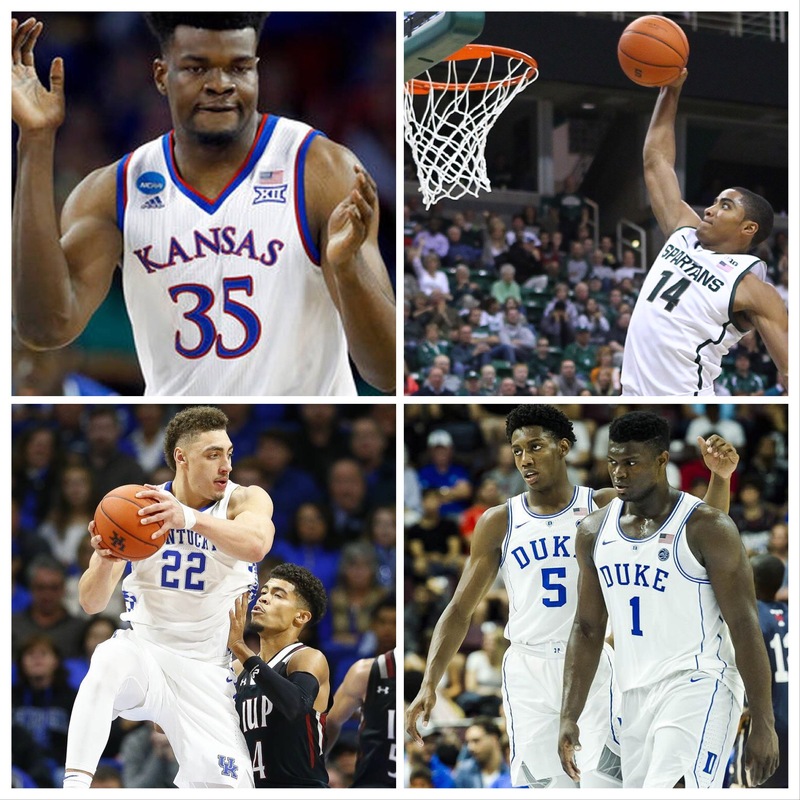 Twenty of the AP polls top 25 will be in action but none bigger than the four playing in the Champions Classic as #10 Michigan State takes on #1 Kansas and the heavy weight battle of #4 Duke vs. #2 Kentucky will follow right after. The Terriers went into #5 North Carolina last year and stunned the Tar Heals with a 79-75 victory. Wofford is a favorite to win the Big South and has an NBA prospect in Fletcher Magee. North Carolina however, will have the loss of last year sitting right there as they play a tough road test to start the season. Washington comes into the season with high hopes as they are ranked in the top #25 for the first time since the 2014-2015 season and haven’t played in an NCAA tournament since 2011. The Huskies overachieved last season and with plenty of guys returning they should easily get by a shorthanded Western Kentucky team as they travel across the country and will be without Taveion Hollingsworth who averaged 13.3 points per game who is suspended for one game due to a violation of team rules. Florida is coming off a rough ending to a season where things were looking really good for them while Florida State is coming off a trip to the Elite Eight. It will be interesting to see how Florida plays without Chris Chiozza but if KeVaughn Allen and Jalen Hudson can step up the Gators will certainly make the Seminoles work. Florida State returns five players who all scored at least seven points per game and are coming off a season with great momentum. Nevada brings back some of the most talent in the country but BYU will be bringing in some of the oldest players in the country. The question is who can make the difference and meld together the quickest. A win for BYU could really solidify their chances of an at large bid come March and Nevada can’t afford a loss like this to start the season. Kansas comes into this game as one of if not the most talented team and most experienced team in the country. Michigan State is up with the rest of them but with talent and experience Kansas still has them beat. This should be a good game and a hard fought battle between two stellar teams. The frontcourt battle could decide the game where Kansas holds the advantage. The match-up of the night will feature two of the most talented teams in the country. Freshmen and NBA draft picks will be all over the court as the Blue Devils and Wildcats take the floor. With a few sophomores and a graduate transfer Kentucky holds the experience card which should allow them to take care of the Blue Devils. The battle for Ohio. Ohio State has avoided playing Cincinnati for some time but now will be traveling to the Bearcats to open a brand new arena for Cincinnati. Seeding and at-large implications will be heavily weighted in this match up as both teams look to be solidly on the bubble for this season. Buffalo surprised everyone with a romping of Arizona in last years first round and look to be the undoubted favorite to be in the same position this season as they are the clear favorites in the MAC. West Virginia is a team with a lot of questions coming into the season but one thing is for certain it is hard to prepare for press virginia as well as the forceful rim protector Sagaba Konate. A real test for the Huskies and a chance for Auburn to prove they a for real this year as well. An early season SEC and Big 12 match up with both teams looking to prove they a a big time opponent this season. Without Jontay Porter it will be interesting to see how the Tigers are able to respond. Iowa State has possibly the best point guard in the country in Lindell Wigginton and should walk away with this one. USC may be without Bennie Boatwright and Vanderbilt has plenty of talent surrounding an amazing coach.